How to choose the appropriate concrete lifting service provider? You know how concrete has become a crucial design element in modern-day homes or to construct patios and garages. There is stained flooring also into practice and trying a newly lifted concrete painted or stained floor is also a good way to add more versatility to the ordinary concrete in your home. Concrete lifting or mudjacking is the process of restoring the uneven or sunken concrete structures. These projects can vary in its complexity based on the current condition of the structures, which need to be handled by expert professionals only. Here, we will discuss the essentials of concrete lifting for the beginners to know. Why there is a need to lift concrete? As time pass by, the baseline concrete structures may sink or displace due to various reasons. This will further pull away from one another or the foundation of buildings to result in sunken patios or uneven walkways etc. According to experts, settlement or movement of a concrete foundation may be caused by the reasons like inadequate maintenance of the foundation or improper soil fills, etc. Water seepage also to be blamed for expansive soil issues, which may further result in concrete structures to sink or swell. This movement will further create problems to the foundation structures like poor drainage, rough floors, tripping hazards, equipment malfunctions, and unsightly cracks, etc. All these may further end up in need of concrete lifting procedure, which will help reinstate the concrete structures into the previous state. 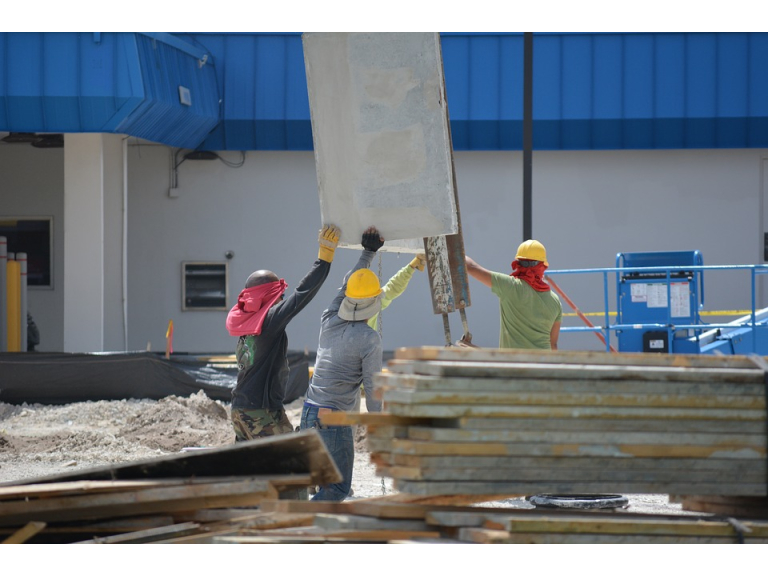 Concrete lifting is the process of drilling down holes in the concrete structure and then injecting a specially prepared grout mix into it to fill the void spaces and then lifting the concrete back into position. The holes then get cleaned and refilled with normal concrete mix to match the color and shape of the concrete structure. The process sounds to be simple, but it requires optimum precision and professional perfection in order to accomplish with a guarantee, which only skilled service personnel can do. With damaged or sunken concrete to be mud jacked, it is essential to choose a good company which can perfectly perform the services. You should get the assistance of a professional you evaluate the actual need and then given an estimate of work and cost involved. It is ideal for getting such an estimate from two, three, or more providers to compare and identify who offer the best. It is always ideal to approach the local companies for such home improvement services and call them to see if they can send an evaluator to conduct a free inspection of the area to be lifted and give an estimate. Make sure that you approach a licensed inspector and contractor only for such works. They should also ensure adequate warranty for their work and also should have significant experience in handling various mud-jacking projects. Beware of the providers who are trying to convince you about the unforeseen damages and a huge estimate to repair them all. Make sure the company you approach is reputable in concrete lifting Springfield MO and also has good feedback from their clients. As discussed above, it is important and difficult to find a professional concrete contractor who is reliable, honest, and possess adequate skills and expertise to accomplish the task properly. Many times, the homeowners tend to hire the first service they come across without understanding the whole picture. Being ignorant to ask the right questions will ultimately end you up in trouble by signing up with the wrong provider, which you will be able to know only midway through the project and end it up in total chaos. Here, we will discuss some professional tips to choose the most appropriate concrete contractor. For any professional service like concrete lifting, it is ideal for checking their portfolio. It is now possible to check for an online portfolio of service providers. The professional contractors will surely maintain an online gallery of the works and will also give a clear idea about their services and advantages through the website. Checking the portfolio will also help you visualize whether they have exposure to similar tasks as of your home and may also give you a better insight into handling it well. Going a step ahead, you can also check the directories and third-party rating sites also to see whether the providers are listed their and what the other users say about them. As a rule of thumb, a home improvement work contractor with above five years of industry experience may demonstrate adequate skills and reputation in ensuring quality work. The experience providers may also be able to give some additional insight for more perfection and also recommendations for better results. Say, for example; they may be discussing with the clients about concreting options which may be complementing more to the nature of soil at your local terrain for long-term results. You can evaluate their reputation through online rating and feedback from the previous clients. Ask them for referrals, which the professional providers may be happy to share. You may try to call a few of them to identify whether they are really satisfied with the services of the provider in question. You can also read the online testimonials about the service in directories and rating apps. Web directories like Facebook, Yelp, Angie's List, Houzz, etc. are ideal places to check for these. Consider the poor reviews also to see if the contractor is keen about addressing and responding to those in a professional manner and address the complaints adequately. While discussing your project with the contractors, always ask them to give a detailed estimate of the project. The general expenses in a concrete lifting project will be based on the cost of base material used, the thickness of concrete, need for reinforcement, sealant, coloring, etc. Check what the down payment is and the installments needed and then compare the pricing with other contractors to identify who offers the best value against price. Choose the right contractor for your lifting project and beautify your home for so many years to come. Hope the above insights help in making the right selection.